Sharpen your mind and self-knowlegde in this serene sensation! 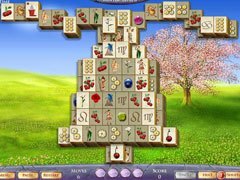 Mahjong Fortuna 2 Deluxe will help you to know yourself. It is not just the serene sense of tranquility that comes when you play the game, deep in thought; you can also explore the world of self-knowledge. Information about your horoscope, element, birthstone, birth flower and the Celtic Tree of Life, and for your loved ones, are your reward in this mysterious game that will provide hours of gaming fun.